Advertising space is available in the print edition of City Journal, which reaches an audience of policy-makers, influential public speakers, and smart, sophisticated readers. 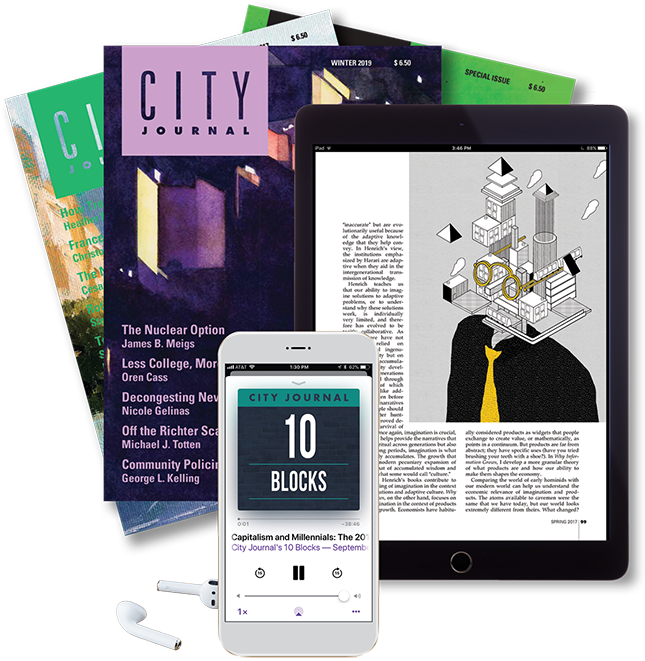 City Journal is “the most beautifully produced political magazine in the country,” according to Power Line. It is designed to be kept on bookshelves and referred to repeatedly, rather than skimmed and thrown away—and that means more exposure for your ad. For rates, placements, and information on our readership, please see our media kit or email advertise@city-journal.org.